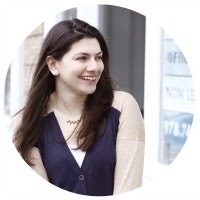 A couple of weeks ago, I was one of the three lucky winners of a giveaway hosted by Anna Dorfman from Door Sixteen (one of my favorite blogs of all times!). 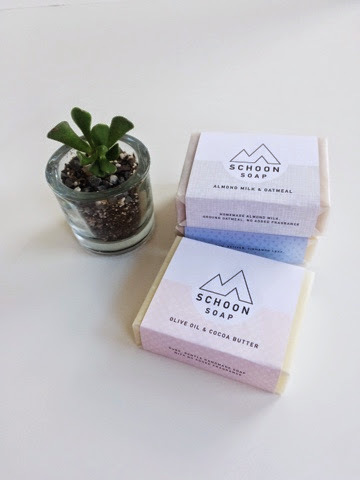 Schoon Soap is a vegan small-batch, handmade line of soaps. 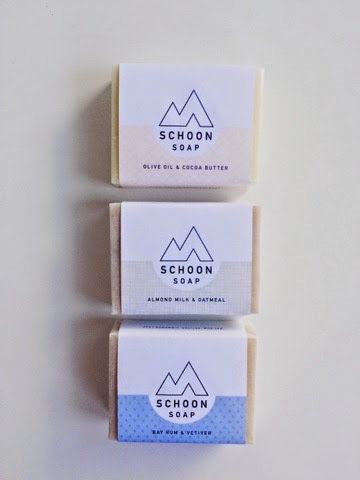 I was thrilled to receive these beautiful soap bars on the mail! 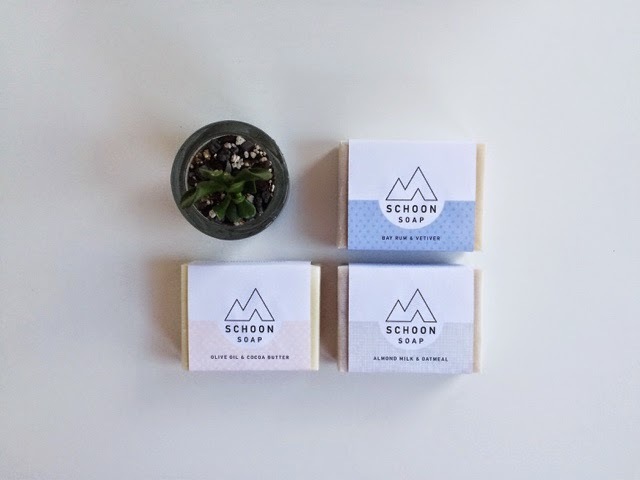 The branding and packaging (created by Anna) is just perfect! It was hard to choose only three of their many different soaps and ended up deciding for "Bay Rum & Vetiver", "Olive Oil & Cocoa Butter" and "Almond Milk & Oatmeal". They all smell amazing and I'm already planning on getting "Grapefruit & Bergamot" and "Lemongrass Basil" next!